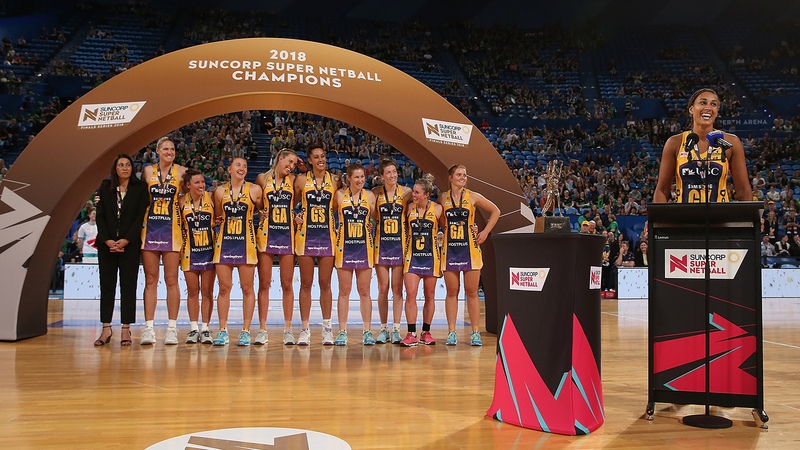 Sunshine Coast Lightning claim back-to-back Suncorp Super Netball championships, after defeating West Coast Fever in front of a record breaking crowd in Perth. 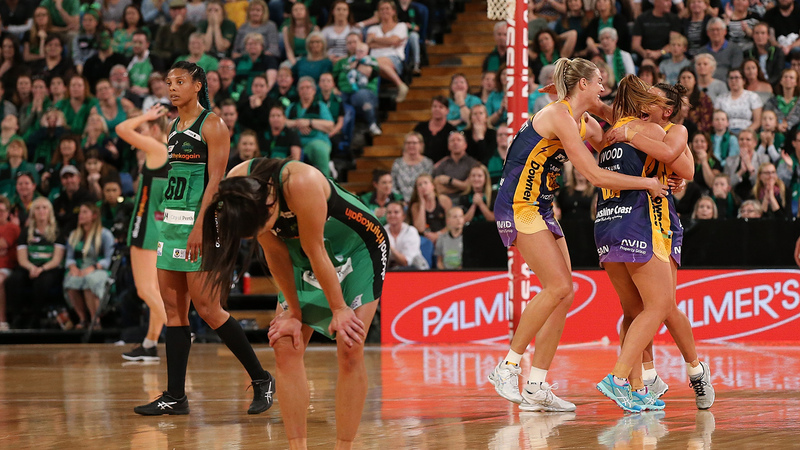 They won two tough away finals to get to the big dance, and finished the job off by turning the Fever over 62-59 – in a game that will live long in the memory. After losing the first three games of the season, the Lightning only sealed their place in the finals in the last regular season round of the competition. 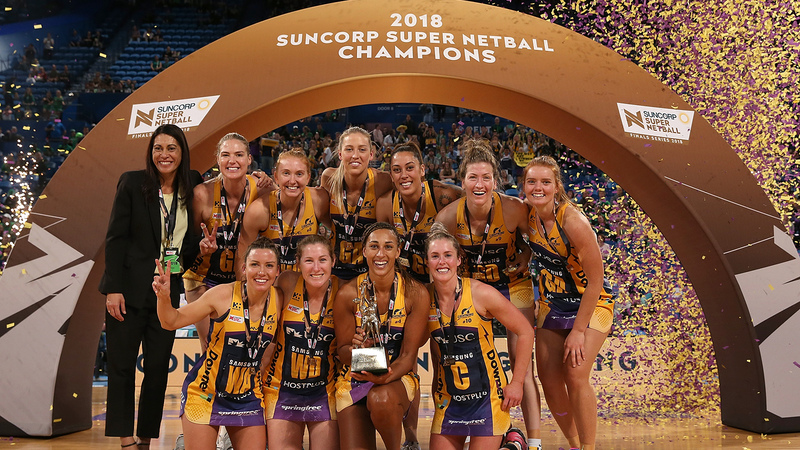 Then they had to travel away to beat Queensland Firebirds and the Giants Netball in pursuit to retain their title. 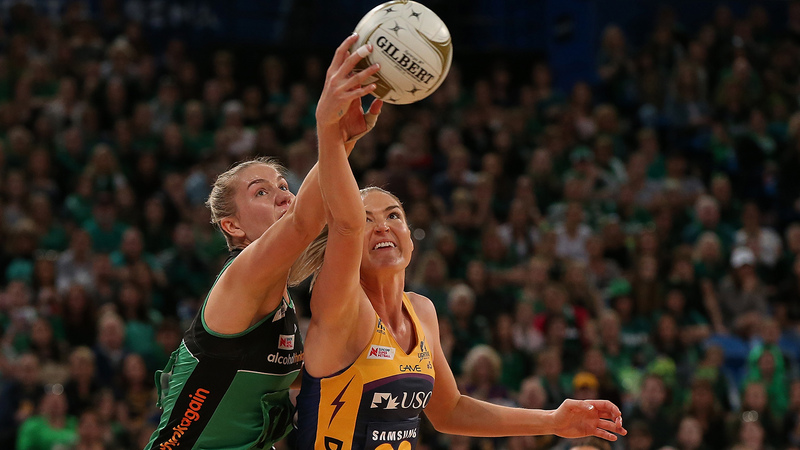 Faced with an Australian national league record crowd of 13,722 at Perth Arena – most of them wearing Fever green – disaster struck, with goal attack and Samsung Diamond Steph Wood going down with a rib injury in the first quarter. But she was strapped up and returned soon afterwards, typifying the guts of this Lightning side. 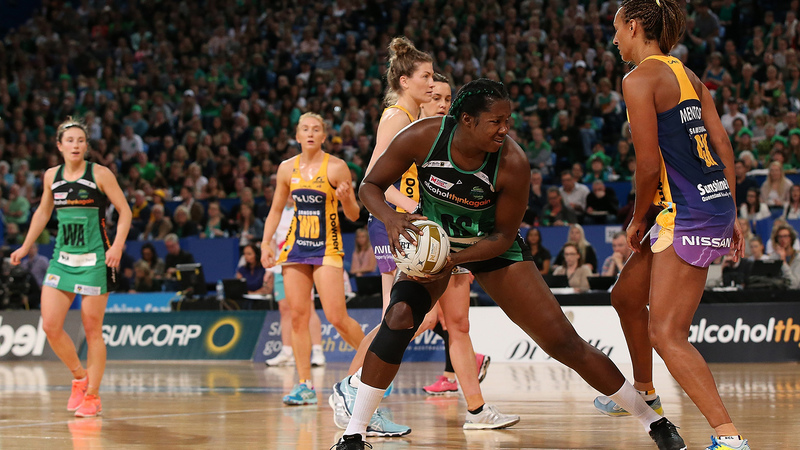 Fever were as strong as always, goal shooter Jhaniele Fowler potted 53 goals from 55 attempts, Nat Medhurst bagged six goals and 18 assists, while captain Courtney Bruce was a thorn in the Lightning’s side all match. But the Lightning won all the moments that mattered, with defenders Karla Pretorius and Geva Mentor being outstanding in the back court. And Caitlin Bassett was exceptional in the goal circle, shooting 45/50 goals, working in tandem with Wood all match, to secure Nissan MVP honours. 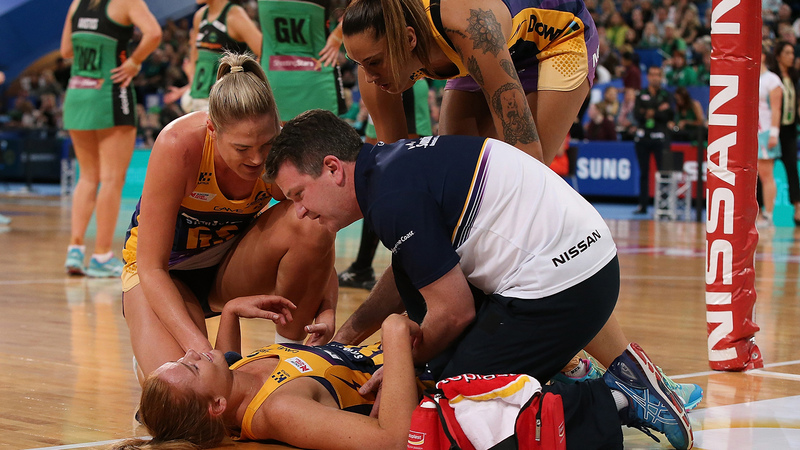 Disaster struck for the Lightning with just under three minutes left in the first quarter, with goal attack Steph Wood collecting a suspected serious injury. The Samsung Diamond took a bump from Fever goalkeeper Courtney Bruce, before colliding with the goal post and hitting the court in pain. An extended timeout was taken, given the severity, before she was carried from the court. Wood was assessed courtside for breathing difficulty and rib damage before she was taken back up the tunnel for medical attention. She was issued with painkillers and returned to the bench, strapped up around the ribs and back. Then came back on early in the second quarter. Late in the second quarter, Lightning were staring down the barrel of a gun. 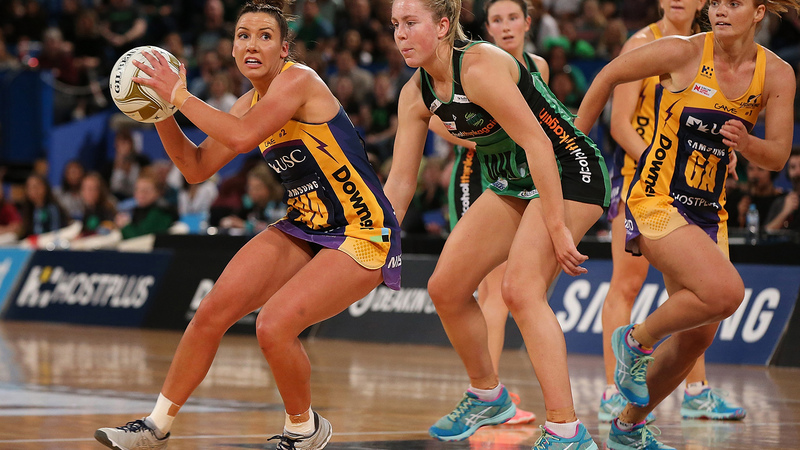 Down seven goals to a rampant Fever, but the Queensland team surged late. An intercept in the final 10 seconds followed by a defensive penalty ruled intentional by the officials, allowed the Lightning to score on the siren, slashing the deficit to just three. Kelsey Browne had a tough first half for the Lightning, but she escaped the pressure of Jess Anstiss in the third quarter. In the seventh minute, she delivered the assist that allowed Caitlin Bassett to score the go-ahead goal. The Fever were trailing by two goals with only seconds left in the third quarter. 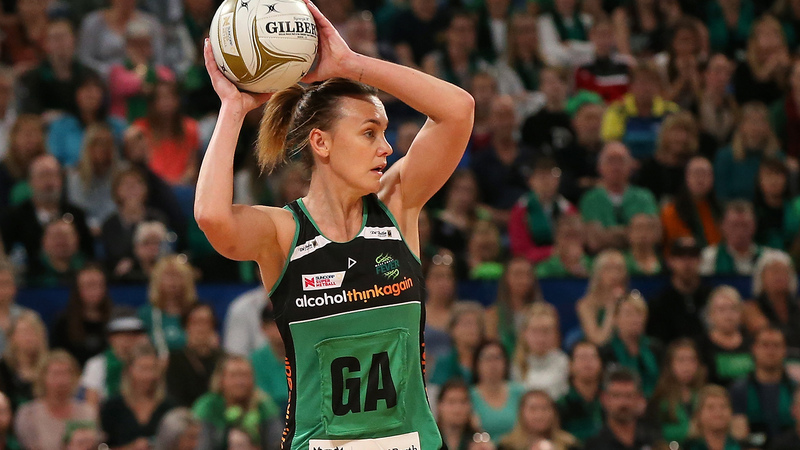 Karla Pretorius struck like a thief in the night to steal the ball back from the centre pass which allowed the Lightning to take a massive three-goal advantage into the final term. The Lightning were holding off the Fever until a pass went between legs to turn over possession with six minutes remaining. Lightning argued in vain that Verity Charles was offside, but it was not to be, and it paved the way for the Fever to take the lead back. With 1.09 left on the clock, Mentor got her hands on the ball when the Fever needed to score. Charles made contact and the Sunshine Coast got the turnover – the premiership play. Steph Wood showed how tough she is at halftime, talking about her suspected rib damage and her return to the court. “There is a little bit of pain there, but it’s a grand final. You don’t want to sit out this occasion,” she said. Geva Mentor said, “I am absolutely flabbergasted, I can’t believe what we just managed to achieve this season, all the way through. “It was just so tough and there wasn’t much in that circle that we could pull the ball in for. “I don’t know if I did an awful lot back there, but I am just so happy for the girls that are in front of me. Kelsey Browne said, “I think over the last four weeks, it has been are we going to be there or not? “To be here, to make the trip to Perth, to play in front of this crowd – it’s a big feat. Courtney Bruce said, “Obviously not the outcome that we wanted, but I am proud of this bunch of girls behind me that got us to this point. “To dominate the season like we did, it gave us so much confidence and belief.